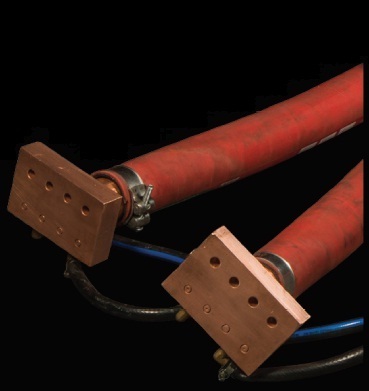 Copper conductors that are heated due to high amperage must be cooled with water or air. Our water and air cooled bars are manufacturing with using special protection hoses. Insulation with PVC compound or silicones or other materials is also possible. 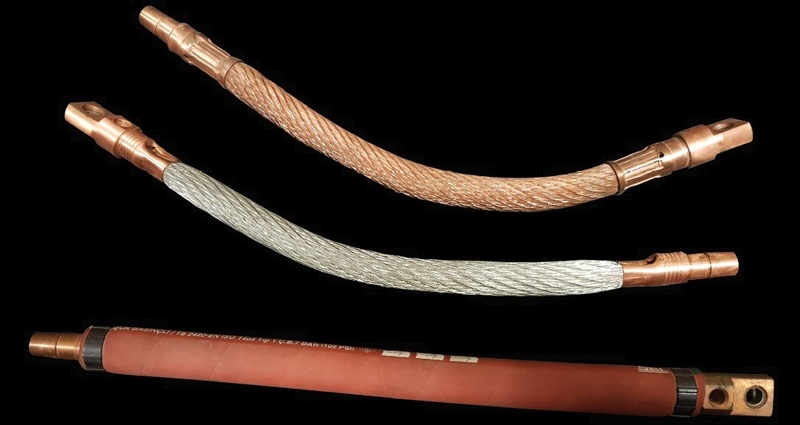 The core is made of copper wire with 0.10-0.30 diameter, cross-section varies from 100 to 1000 mm². Its terminals snapped without any welding, under special press to provide maximum conductivity.